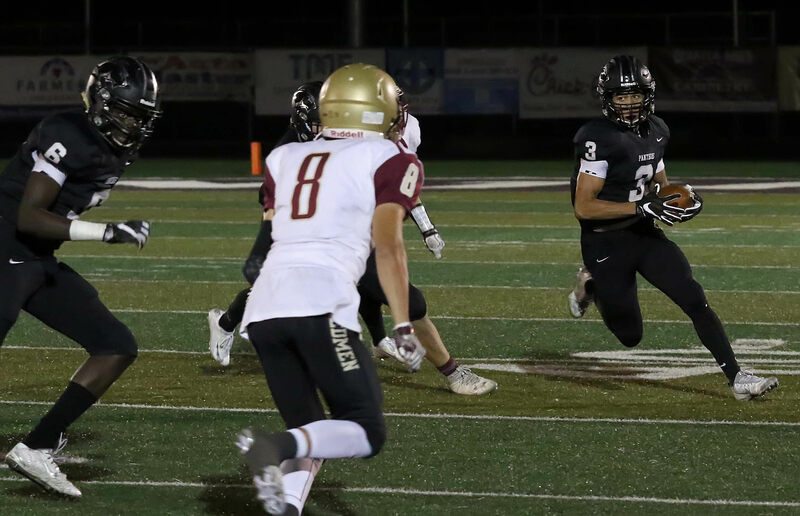 ST. GEORGE – Jacob Mpungi rushed for 65 yards and two touchdowns, including the game-winner with 1:40 left, as Pine View defeated Cedar City 18-13 in Class 3AA South play on Friday night. With the win, the Panthers secured the region’s No. 3 seed into the state playoffs. Pine View (3-2, 7-2) will entertain Ben Lomond on Oct. 28 at Panther Stadium. Mpungi’s 3-yard run capped a 10-play, 62-yard drive which started with less than five minutes left on the clock. He finished with 12 carries for 65 yards and also had three pass receptions for 17 yards. Ryan Javines completed 16 of 25 passes for 161 yards. Lance Mandrigues caught six passes for 83 yards. His final catch for 21 yards set up Mpungi’s game-winner. Pine View led 12-0 at halftime on the strength of a Mpungi 26-yard TD run and a safety recorded by Christian Reis on Cedar QB Braden Garrett. Connor Brooksby also added a 35-yard field goal in the second quarter as the Panthers appeared to be in control. It was still 12-0 until Travis Tait scored on an 11-yard run with 8:04 left in the game to bring Cedar within 12-6. Blake White-Schreibman added the point-after. Pine View got the ball back on the kickoff, but Mpungi fumbled on the next play, giving the Redmen prime field position at the Panther 17-yard line. Six plays later, Cedar (1-4, 4-5) went ahead 13-12 when Trenton Maurer scored on a 2-yard run with 4:53 left. A two-point conversion attempt failed. After Mpungi gave PVHS the lead back with 1:40 left in the game, the Redmen went on a 60-yard drive in the final 100 seconds. Garrett had a couple of completions on the drive and Cedar was aided by three major Pine View penalties. One was for a facemasking penalty that moved the ball to midfield. The next play, the Panthers were called for pass interference and then an unsportsmanlike conduct infraction that moved the ball to the PV 20-yard line with just seconds to play. Cedar was able to get off one last pass from the 20, but it fell incomplete and the Panthers were able to survive the exciting ending. Cedar did get one big break Friday night. The Redmen won the three-way coin toss to receive the No. 4-seed from the 3AA South. That is significant as that means Cedar will play at home next Friday in the first round of the playoffs. Park City, the five seed from the 3AA North Region, will invade Redmen Stadium Friday evening. 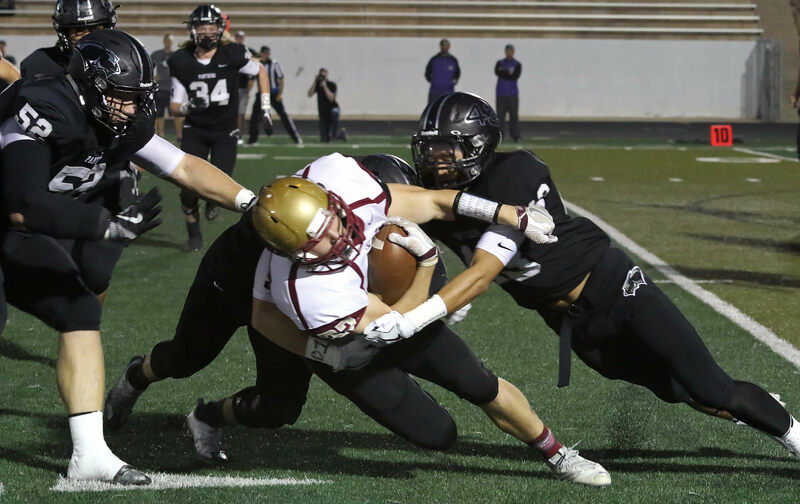 For more on this game and the rest of the 3AA South Friday night lights, including video, photos, quotes, stats and insight, go to Saturday Breakdown on St. George News Saturday morning.